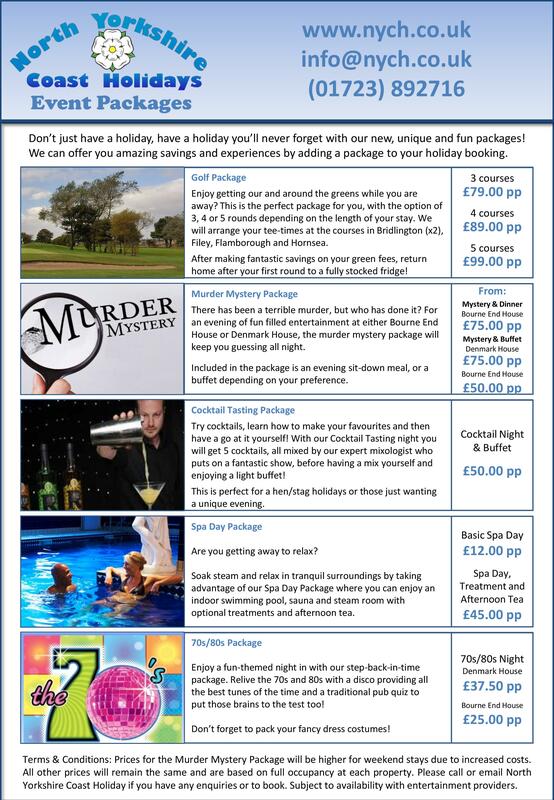 The below event packages can be arranged during your stay. Please call for details on 01723 892716. Please find below a list of great event happening on the Yorkshire Coast this year.